Color Counts: While white drapes for a wedding might seem like the obvious and only answer, don't limit yourself to the first option that comes to mind. White drapes are great for a more traditional wedding, but don't write off other colors, especially if you and your spouse are looking for a wedding that breaks a bit from tradition. Just make sure the color you choose works well with the rest of your wedding decor. Budget Wisely: It can be easy to get carried away when selecting decor for your wedding, and wedding drapes are no exception. Know your budget before you start looking. 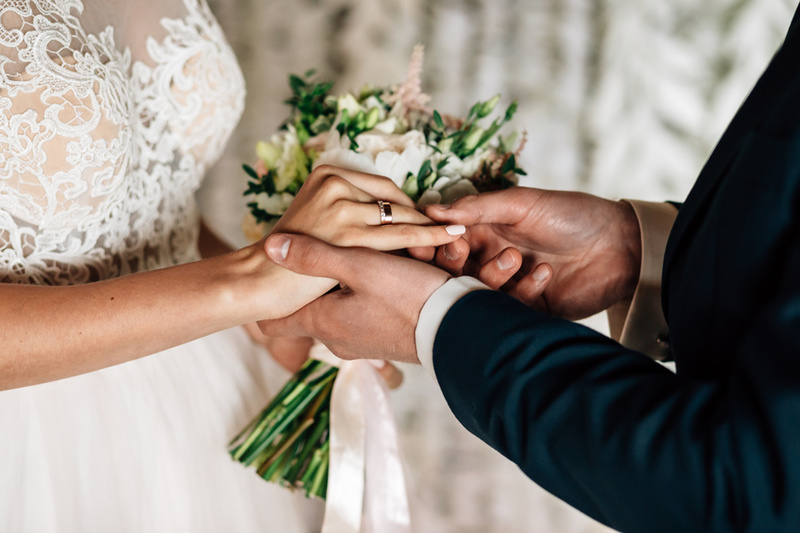 The average amount spent on a traditional American wedding is $35,329, but don't feel pressured to spend that much if that figure isn't realistic for your situation. Light Or Heavy: Not only will the color of the fabric change how your drapes look; the weight and texture of the fabric will as well. Will you go with sheer drapes for your wedding for a lighter, softer look, or are luxurious velour drapes more your style? Make sure you do your research on which fabric weight works best for your style, and select your drapes accordingly. Again, keep your budget in mind with this; not all fabric options are going to be affordable for every situation. Pictures, pictures, and more pictures: On your wedding day, you're going to want countless pictures of some of the happiest moments of your life. Make sure that when you're choosing drapes, you pick out ones that improve your photos, rather than detracting from them. Be careful with reflective fabrics, as they can cause strange lighting issues in your photos. Need help choosing drapes for your wedding? Contact Pipe and Drape for more information.